No shells. 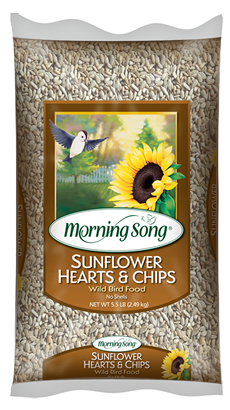 offers all the attraction of sunflower without the messy hulls that build up under feeders. A favorite of goldfinches. For use in hopper, tube or platform feeders.